The UNISA courses 2019 applications are, until further notice from UNISA, currently closed. 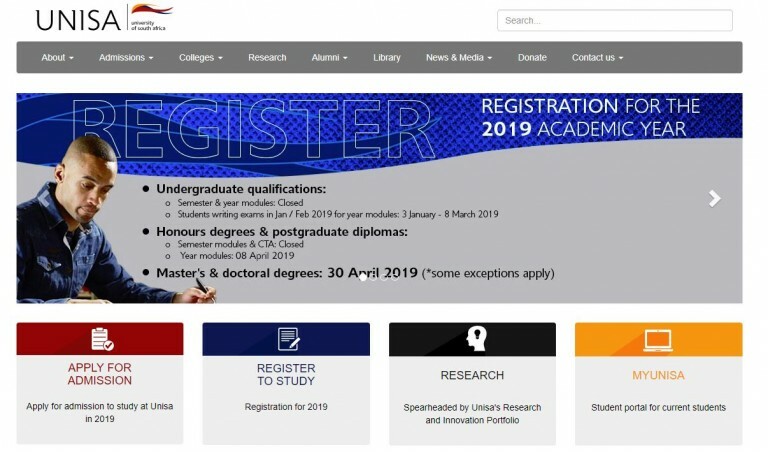 To find out more on the dates for the Unisa 2019 application period, you can read it online here. Looking for a specific course that you can study at UNISA in 2019? 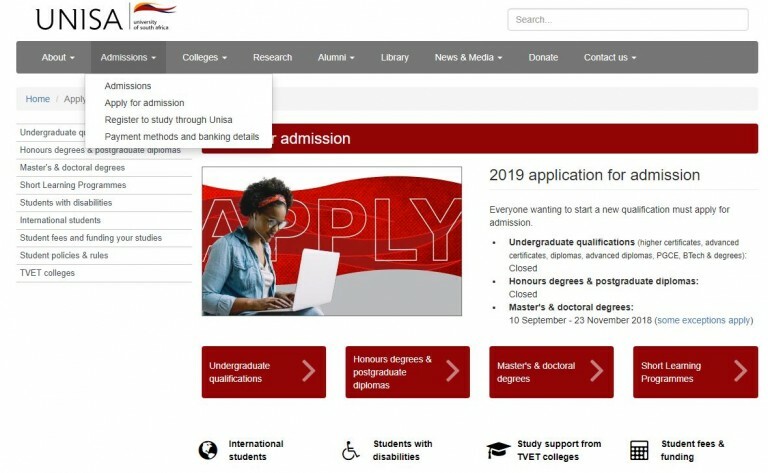 This step-by-step guide will shed some light on what courses you can do at UNISA in 2019. 2. Secondly, click on the Admissions tab on the homepage. A drop-down menu will appear with 4 options. 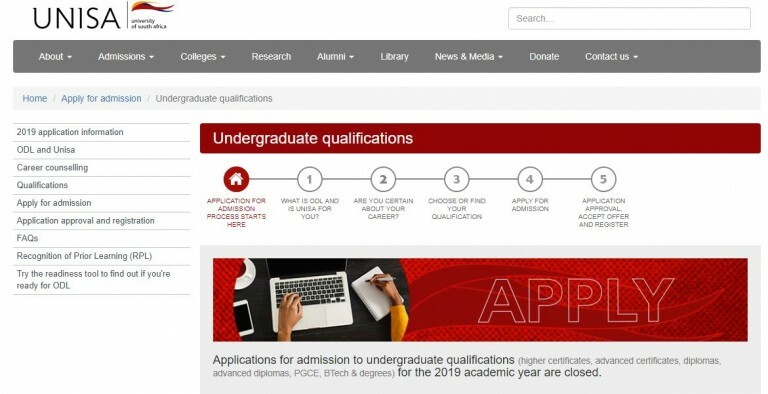 Click on the ‘’Apply for Admissions’’ option on the drop-down menu. 4. For explanatory purposes ,we’ve selected the Yes option so that we can continue through the process. 5. Keep selecting the option that personally suites you. For our example, we’ve selected yes – but take the time to explore as much as possible as the information on the pages are useful. 6. 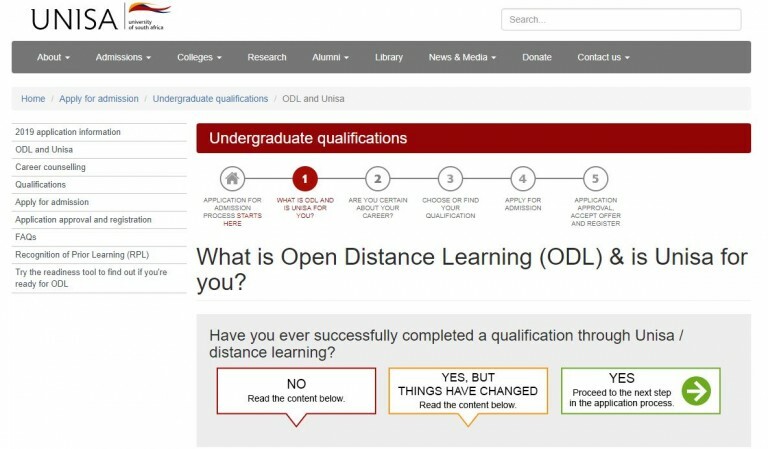 You’ll finally end up on a page where you can choose the exact qualification that you want to study. There are many options you can choose from to make your selection, such as college, qualification or even field of interest. Each of these options help you to explore what UNISA offers and helps you find out for yourself what you want to study. 7. After you have finished exploring and have finalised what you want to study, you can apply for admission to UNISA. 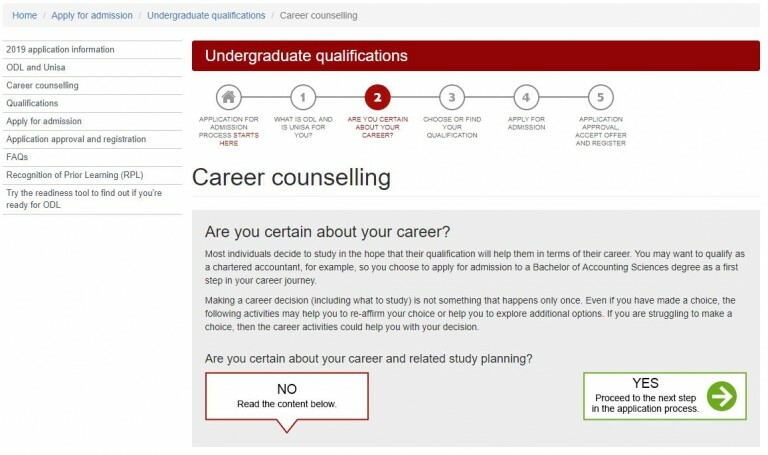 Remember that you can only give two qualifications when you apply (for the sole purpose of if you were rejected for your first choice, you still have another chance to successfully apply with your second choice).